Is it time for vinyl replacement windows and doors for your Seattle home? There are a few things that you can watch for which might help you decide to make these upgrades in your home. The best thing that you can do is talk with a windows and doors expert for more information. Here at Signature Window & Door Replacement, we offer expert services for full house vinyl replacement windows. We know what it takes to get the job done right and we want to be sure that you are completely satisfied with the services that we offer. If you are thinking about replacement windows or doors for your home, we invite you to contact us right away for more information about the many products that we offer. Many homeowners find that the most difficult part of this process is making the decision that they need to replace the windows in their home. But, once the decision has been made, then you can talk with us and we will be available to answer your questions and help you identify the best products and services that meet your needs. Don’t let basic hesitations hold you back from making these upgrades in your home, because you deserve to live in a home that that is both beautiful and energy efficient. For example, some people are worried about the cost of vinyl replacement windows for their entire home, but the truth is that it is almost always worth the cost because of the many benefits that you will be able to enjoy. Once you have made the decision that you want to upgrade the windows in your home, then the next step is to choose the right windows that will look best. Talk with our experienced team at Signature Window & Door Replacement, and we will help you identify the right colors and styles that will look good. To start out, one of our team members will come to your home to look at the windows that need to be replaced. We will talk with you about your goals with the project, and identify the best pathway forward to ensure that the project turns out exactly as you had imagined. Feel free to show us pictures of the types of windows that you want. Since vinyl replacement windows are easy to customize. We can custom create the exact shape, size, and color that will look great in your Seattle, WA home. We are one of the leading window and door replacement contractors in the Seattle, WA area, and we want to show you why our customers have always been satisfied by the quality of service that they receive. Improved Energy Efficiency: Which helps to reduce utility bills and save the environment. Better Home Security: Discouraging unwanted intruders from entering your home. Top-Notch Appearance: Set the right impression when friends and family come to visit. Excellent Value: Vinyl is cheap and durable giving you a good bang-for-your-buck. Natural Sunlight: Brighten up your home with improved access to natural sunlight in each room. 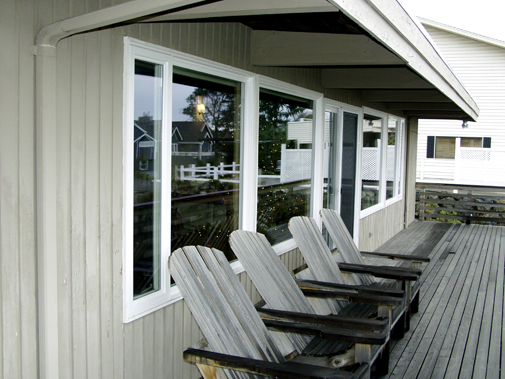 Once these replacement windows are installed, you will notice a big difference in the comfort levels within your home. Additionally, these replacement windows are a great way to transform the appearance of your home, both inside and outside. The final step to having replacement windows and doors installed in your home is to schedule a date for installation. Here at Signature Window & Door Replacement, we are focused on customer service and we want to make the installation as easy as possible. Our team will work around your busy schedule, and we will make sure that the windows are installed promptly. By setting a schedule and sticking to the plan, you can rest assured knowing that you can enjoy the benefits of replacement windows right away. As we are in the planning and installation stages, you are always welcome to contact our team if you have any questions that arise.